This year, the 12th annual ‘Meltdown’ celebrates the 60th anniversary of the opening in 1959 of the 59 Club, and the 50th anniversary of the “Spirit of 69”! 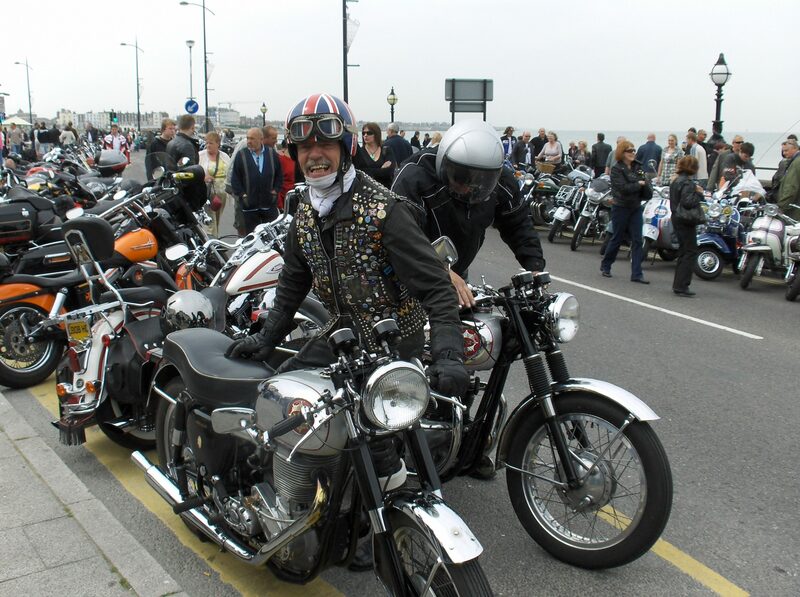 It features a ride out from Ace Cafe London to the event in the popular seaside resort of Margate in Kent, with Margate seafront and harbour being given over for the day to motorcycles and scooters, and a myriad of diverse club and trade stands. Live entertainment will be rocking the seafront from midday onwards with MC Bill Guntrip and the DJ’s Bill & George Guntrip, together with the three piece band “The Draglinks”, playing Rockin’ Blues , Rock’n’Roll and Rockabilly. The destination town of Margate has everything for a great day out; a beach and plenty of things to do and see. Its heritage of motorbikes, scooters and the Mods & Rockers that rode them there from the 1960s on is of world renown. Buckets and spades are optional! The Royal British Legion Riders Branch (RBLRB) is the chosen charity for the event. Special thanks to Thanet District Council and the town for helping us. We ask that you do not park any vehicle on the pavements or block the footways and emergency routes, and adhere to the directions and requests of Meltdown Staff & Marshals.